DESCRIPTION Braked swivel rubber castor. 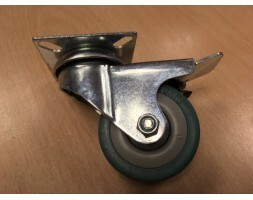 Swivel wheel rubber castor with non-marking tyre and brake. 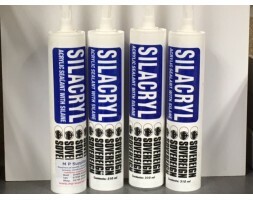 50mm 50kg load capacity Sold as a set of 4 .. DESCRIPTION Natural product made from plant and fruit extracts. Interior and exterior. 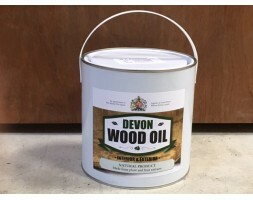 Devon Oil is particularly good on furniture, doors and floors. On bare, previously untreated wood simply apply 1 generous coat, leave for 10 minutes to soak in and then wipe off any excess with a dry.. 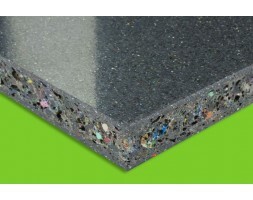 DESCRIPTION EKOply sheet is manufactured from 100% waste plastic which typically ends up being land-filled or incinerated. EKOply has been manufactured as an alternative to imported plywood, or to virgin plastic panels, yet in turn are fully recyclable at end-of-life. 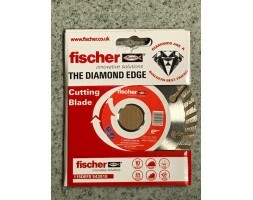 Key benefits Rigid .. DESCRIPTION Flush Bolt Dimension - 25cm(length) X 2cm(width) X 1.7cm(thickness), the required groove depth is 1.7cm, 1.8cm projecting bolt • Often used on one of a pair of wooden doors, leaving the other door for normal traffic, also suitable for internal doors • Made by 304 stainless steel and.. 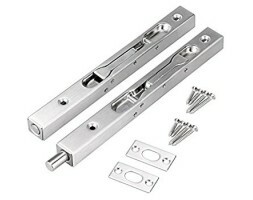 DESCRIPTION Flush Bolt Dimension - 20cm(length) X 2cm(width) X 1.7cm(thickness), the required groove depth is 1.7cm, 1.8cm projecting bolt • Often used on one of a pair of wooden doors, leaving the other door for normal traffic, also suitable for internal doors • Made by 304 stainless steel and..